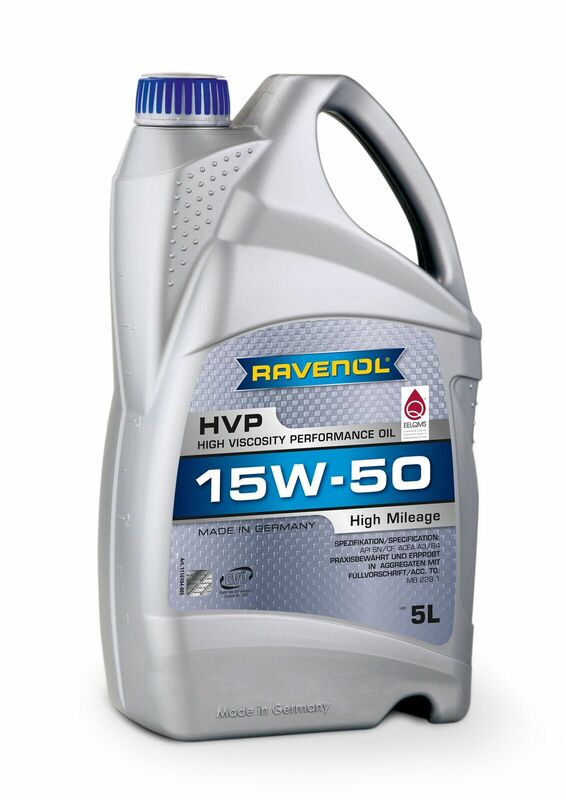 RAVENOL HVP High Viscosity Performance 15W-50 is particularly recommended for vehicles with high mileage, petrol and diesel engines, with and without turbocharge and direct injection. Based on the old RAVENOL Racing 15W-50 specification, this is an ideal budget racing engine oil for both track and rally cars requiring a high performance semi-synthetic oil. Its unique formula also makes it ideal for use in high mileage vehicles of 60,000 miles and more. The extremely powerful conditioning and cleaning additives in RAVENOL HVP 15W-50 revitalise critical engine parts and in particular protect the gaskets. This can extend engine life, particularly in older vehicles with high mileage. It also features outstanding lubrication and excellent shear stability, and the added conditioners simultaneously reduce oil consumption and protect from sludge and wear.